The increased estimate of railroad earnings put out July 8 by Deutsche Bank aren't particularly large, but they speak to the strength of the sector that has battled service issues and various other forms of turmoil for the past year. Looking at the raw data, the service issues remain. 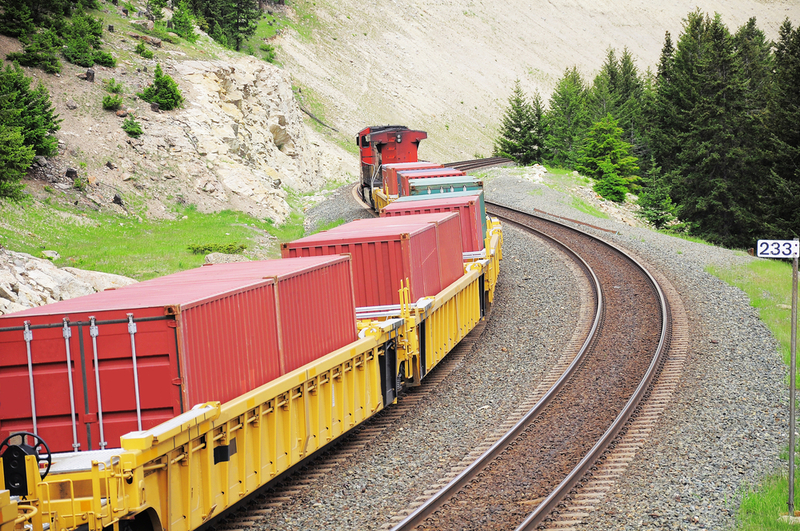 For example, in the latest Surface Transportation Board report on performance, average intermodal speeds were reported at 31.7 miles per hour. In the corresponding week a year ago, it was 31.8. Dwell time in the most recent week was 27.9 hours. A year ago, it was 27.5. But the strong market for moving any kind of freight is overcoming that in terms of economic performance, which is why Amit Mehrotra and his team increased their estimated earnings for the group. The increase is not large, just 2% on average But the Deutsche team said in a research report that their estimates were already solidly bullish, above industry consensus, and are now 4% above that consensus. "I think a big part of the intermodal growth is being driven by that, but the U.S. economy is growing as well," Mehrotra told FreightWaves when asked if a switch from over-the-road trucking to intermodal due to a capacity squeeze in the former was driving the railroads' performance. "So when we have an environment like that, intermodal is a big piece of the growth, but I think it's still only one piece of several drivers of growth for railroads." Mehrotra said the evidence he's seen on switching from OTR to intermodal indicates strong but not overwhelming numbers. In the second quarter, he said it looks like rail traffic for commodities and merchandise was up about 1.5% on the rails, but that intermodal shipments were up about 5.5%. "Based on my conversations, there's always this equation of the decision of a shipper whether to go by truck or rail," Mehrotra said. "On a purely economic basis, the average is that a truck needs to be 15% more expensive to incentivize switching to rail." Given that there are thousands of different lanes and just as many cost comparisons, it's difficult to make a broad sweeping statement on whether the incentive exists, Mehrotra said. "But it is undeniable to say that the economic equation is starting to favor rails, particularly as diesel prices move up as well." But rail service still has its bottlenecks, as the stagnant numbers on speed and dwell time attest. It all comes down to the same equation, according to Mehrotra: "Shippers are willing to trade off service to a degree if the economic benefit is significant." --At CSX (NYSE: CSX) ,which at the worst of the rail problems needed to file individual reports to the U.S. Surface Transportation Board about how it as doing, the company's operating rate is expected to improve by 300 basis points in the second quarter. (The first quarter OR was 63.7%.) CSX's earnings projection was increased 1 ct to 88 cts per share, against a consensus of 85 cts per share. --Norfolk Southern (NYSE: NS) had a particularly strong second quarter in its intermodal sector, rising 8.2%, according to Deutsche estimates. Total volume was up 5.7%. Its earnings estimate were up 5 cts, to $2.34 against a consensus of $2.27. --Carload growth at Union Pacific (NYSE: UP) is projected up 3.4%. The earlier Deutsche estimate was an increase of 1.9%. --Canadian National (NYSE: CNI) was the only railroad where Deutsche Bank raised its stock rating, increasing it to Buy from Hold. Deutsche said its estimate assumes CN will have a 60.6% OR in the second quarter. "We expect management to sound more confident about the company’s ability to accommodate stronger volume growth and its ability to return CNI’s operating ratio to its long-term target of the high 50’s in 2019," the Deutsche report said. The optimism extended to increasing the company's full-year earnings projections for this year to C$5.28 from C$5.15, and next year to $6.24 from $5.85. One other aspect of the railroad industry that Deutsche likes: it's got a lot of capital expenses behind it, allowing more free cash flow. The completion of positive train control installation is in sight, and Mehrotra also said many companies have had locomotives in storage. If they need that capacity to meet demand, he said. "they don't need to go back to the market to get them."